Rationalist Judaism: "Let's Destroy The Charedim - And The Rest Of Israel!" "Let's Destroy The Charedim - And The Rest Of Israel!" "Let's destroy the charedim!" That must be the plan that is being acted upon by numerous people lately. As is widely known, the charedi community in Israel is in a state of collapse. It suffers terribly from poverty, and the resultant problems that it brings in its wake. The reason for this is simple: A very high percentage of charedim do not work, and even many those who do work lack the necessary education to get a job that pays a reasonable wage. This is a result of a society that disobeys and disregards Chazal's directive that a person is obligated to educate his children to be able to support themselves. The previous government, uniquely in the history of Israel, took strong steps to address this problem, such as making financial aid to schools contingent on their adopting the minimal core studies of secular education. This had significant results - the Shas school system adopted math, science and English as a result. For the first time, it looked like there was hope to save charedi society from collapse. Yet there were those who sought to sabotage this rescue effort. After the last elections, UTJ politicians entered the coalition, promising to support Netanyahu if he rescinded the requirement for basic secular studies. And thus it was. But that wasn't all. It's not enough to ensure poverty for all the Israelis in the charedi "education" framework. You have to try to also ensure poverty for people moving to Israel, such as the recent olim from France! 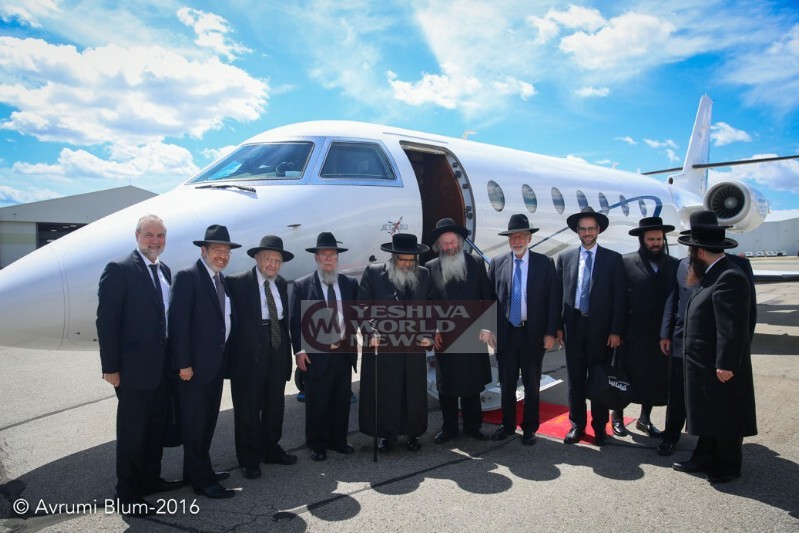 To this end, a group of charedi gedolim and askanim just flew to Toronto (on a private jet, of course). Their goal: to raise funds from philanthropists "in order to make sure that the newcomers stay within the Charedi school system." Because God forbid that they should go to a Torani school in which they will get a secular education alongside a Torah education. At this point I must take the rare step of taking issue with someone that I greatly revere, Rabbi Yitzchok Adlerstein. Pointing to the recent report that Lakewood graduates attain the highest CPA scores in the state, Rabbi Adlerstein suggests that the regular secular education track may not be essential. He notes that in Israel, "Motivated haredim with no secular background at all successfully earn the equivalent of bagrut in 12-18 months in special programs, and then take their places in regular academic study at Israeli universities." However, that is somewhat misleading. First of all, the Lakewood students who take CPA exams are probably not average Lakewood guys. Second, even average Lakewood guys have a secular education and exposure that is vastly superior to chassidim in the US and to virtually all charedim in Israel. Third, the facts are that fully 50% of charedim who apply for "catch-up" programs in Israel (themselves certainly not representative of chareidim in general) drop out because they just can't catch up that late in life. It would perhaps be more relevant to point to an opposite example. 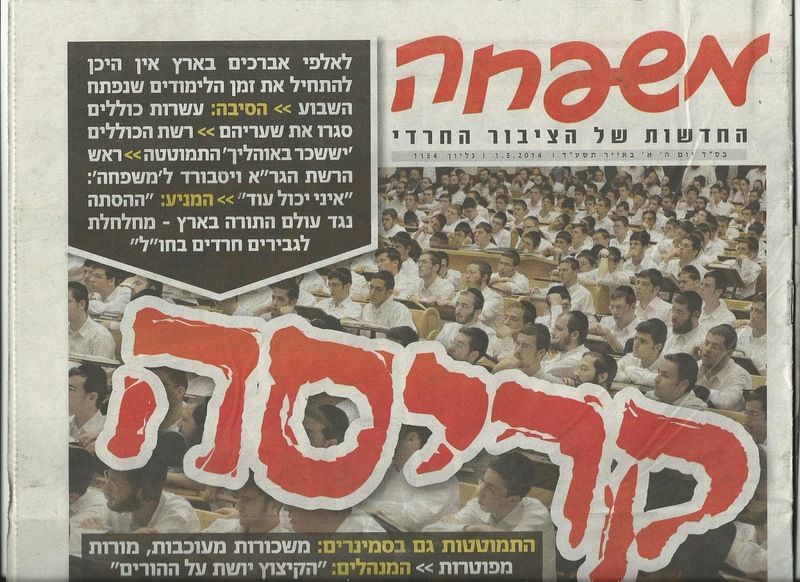 Charedi leaders argue that it is essential to block their students from secular studies and IDF service in order that they should turn into Bnei Torah. But of the Moetzes Gedolei HaTorah of Agudas Israel of America, quite a few have college degrees. And of the recent new appointees to the High Rabbinic Court in Israel, a whopping 50% have served in the IDF. Evidently, a secular education and IDF service does not prevent people from becoming great Torah scholars. As Jonathan Rosenblum has forcefully argued, it is essential for charedim to get academic education and professional employment - not only for their sakes, but for the sake of all Israel. I hope that the Toronto philanthropists realize this, and are not suckered into aiding those who are effectively out to destroy the charedim - and the rest of Israel. "Lakewood students who take CPA exams are probably not average Lakewood guys." I've got a comment in moderation there making a similar point. A tiny fraction of Lakewood guys go to college, and of them, great numbers of them take either the CPA or the Bar exam. You just cant compare that to the general public, where people choose from hundreds of professions and everyone gets a job. If every single guy in Lakewood had to take a profession, and the CPA was just one of the myriad choices available, the passage rate would not be nearly as high. How does that follow? I would expect that those who choose the CPA route over many alternatives would be, on average, better suited or more committed than those who choose it over few alternatives. Because of the fact that there are so few options, the smart guys are all concentrated together. So its understandable that this group scores high. When you have more options, and more workers, the intelligence is spread thin and diluted. Some of the smartest guys might be heading to marine biology or astrophysics, whereas in Lakewood they're all taking the CPA. The problem is that there aren't enough schools that do both - yet. Mamlachti Dati education is not sufficient for most people who come from Torah communities abroad, because it serves widest swath and caters to the least common denominator (Jewish-education-wise). I don't know if Chinuch Atzmai schools teach the basic curriculum or not, but the truth is, French (or American) yeshivish kinds of family, don't know where to send their kids. They assume that the more yeshivish the better, and they don't understand the ramifications for the future. OK, actually, where I live, in Ra'anana, there is one school that does do what you said, and that's where all our kids have gone (our youngest just ended 6th grade), so there are many French olim there (also from everywhere else in the world, including those leaving Bnei Brak for a more balanced life style). But that's one school. There are probably a handful others around Israel. And it doesn't help when they move on - there are VERY few high schools that continue with the focus on Torah and learning, and also teach for Bagruyot. Really? I can think of a few in Jerusalem alone. The shtachim are full of them. Chardali people actually take secular subjects pretty seriously, and of course learn Torah seriously as well. This isn't a fair critique IMO, since he's only talking about education for "some students," which he writes, and he's critiquing educational methods, not whether science should be taught in the classroom. Where did this angry post come from? The Chareidi community in Israel is not in a state of collapse. As long as the tax dollars of the hard-working non-Chareidi population keep flowing to them via their influential political parties they will keep their structure intact. There has been some backlash in some limited parts of the charedi community that have demanded that the women stop getting educated and getting decent jobs (you'll note a year or two ago when suddenly some sephardi gedolim were complaining about Ovadiah Yosef's daughter's charedi women's tech college). But basically the charedi women are picking up the slack. Or as my children noted on a recent shopping trip through Geulah and Bnei Brak, the stores have moved significantly upscale - some portion of the population has changed economic conditions. Now how this affects the social dynamic as the women become the primary bread winners, partially secularly educated, and working in environments that give them wider world exposure...remains to be seen. We can already see hints of where this was going. In the last election, there was an attempt to form a Charedi women's party. There have been attempts to get women onto Charedi lists. These have been successfully repressed now, but the pressure will build. I am sorry, but I have no sympathy for those women. They want, on the one hand to be Haredim, but on the other, they want to go against their Rabbinic leadership. Being Haredi is more than just wearing a black hat and speaking in a certain, way, it is BY DEFITION, a commitment to at least outwardly follow a particular group of Rabbanim. We all heard how they were threatened before the election that "no one will marry their children" if they go through with their move. Here at this site and others, we have seen Haredim, while insisting on anonymity, excoriating the Haredi community but they don't have the courage to be identified publicly. This means being accepted by their neighbors and having their children marry into families that reject these "rebels" views is more imporant than living out the truth they claim to believe in. If there are Haredim who really believe that they don't fit into the Haredi coommunity , then they should leave. If they don't, then they really don't feel strong enough about their views, and in any event, their children and grandchildren will be educated in their institutions to reject their parent's supposedly liberal views. The bottom line is that I don't see any yeshua coming from these rebels. I don't see any chance for any serious reforms in the Haredi world. I read Dr Marc Shapiro's biography of Rav Yehiel Yaakov Weinberg's biography and I learned from that even in the period when there was mass flight from Torah observance from even the most prestigious Rabbinic families, yeshivot and Hasidic courts, the most hard-line leader were the ones who set the tone and the moderates generally fell into line behind them. This is because they believe that the real core of Jewry is a small elite group of scholars or Hasidim and that the education system must be geared towards them. If this means that there is a major problem of drop outs, which while unfortunate, is the price that must be paid. Thus, our job as "liberals" or "Rationalists" or whatever you want to call our group is NOT to persuade them to change, but rather to provide an alternative to those who are intellectually honest enough to realize that they don't belong in the Haredi community but whom we can show that the Torah IS relevant and vital and yet flexible enough to accomodate many different halachic persepctives and outside interests (science, the arts, history, Zionism, etc). You don't have to feel anything at all toward these women. Akiva asked a question, and I gave an answer. What you, personally, think about them is completely irrelevant. Just like the US saw women demanding an increasing voice in society, from voting all the way up to the feminist movement of the 60s and beyond, so too we see Charedi women doing the same. They already have the ability to vote (cynically: given only to double the Charedi vote), so their next step is running for office. We see them doing it. Or at least trying. That's where Charedi society is going, because if it doesn't, those women will indeed leave. Those women who earn the majority income in Charedi society today. Love it. Hate it. Whatever. It's going to happen. "That's where Charedi society is going, because if it doesn't, those women will indeed leave.... It's going to happen." No, it wont. You compare US women to Charedi women. Even in the US, religious Christian women are not on the same page as secular feminists. Kal Vichomer 1000 times over that Charedim aren't. Love it or hate it, but it's not happening. What I think IS relevant because it provides a guide on how to deal with this. I have stated that I do not believe that any real reform of the official Haredi ideology is possible. In other words, "It is NOT going to happen"! Yes, there are moderates but they will not speak out against the hardliners who set the tone and those who do will knuckle under in the end. For instance, Satmar, who was once on the ideological fringes of the Haredi world and who engaged in harsh criticism of the mainline Agudat Israel groups, is now becoming accepted by at least Aguda types who are increasingly adopting the extreme anti-Zionist line of Satmar, although not going all the way yet in advocating total boycott of interaction with the State. Obviously, many Haredim, maybe even a majority DO have more moderate opinions but they keep them to themselves and, as I have indicated, they are not willing to break contact with the ideological mainstream and, in the end, they want their children to be able to marry into ideologically pure families and for them to be accepted into ideologically pure educational institutions. Therefore, there is no point in us (Rationalists, or Religious Zionists) trying to influence them or to try to prove to them that "we too are Kosher", but rather to provide an alternative form of equally valid, but more flexible Torah Judaism. The Charedi world is now led mainly by a group of Jewish Wizards who have cultivated followers by mystical threats punishment and reward. It appears we are doomed. As a wise man once said, "I'm going to hell in a bucket babe, but at least I'm enjoying the ride." Joel Rich: I think it isn't even that. I looked up the data for 2013 based on the link provided by Chaim below, and we're talking about 12 people who sat for the exam. It is fun and interesting, but provides evidence of nothing expect that those 12 people passed some amount of the CPA exam set. @Anonymous (the one who is not Joel Rich :). Yes, I only had the stats for 2013. If you get the same consistent results with even 35 people, you start to eliminate you sample size issues. The problem then becomes randomization, controls, and model building. The fundraising trip is kind of bizarre. After all, it's not like the French olim* need to pay for education, no matter where they get it. This is probably really just a "Raise money for our institutions so we can pay better salaries to some" junket disguised as a "Let's save holy French (nudge nudge) yidden from the fate of the Yaledi Tehran" junket. *Let's be honest here, we're talking about sending French olim of North African origins to Shas schools. The average French Ashkenazi oleh is not about to send his kids to Chinuch Atzmai. I got a chuckle at the bit about "the remaining members of France's dwindling Jewish community" -- for whom they made a trip to Canada, which has far fewer Jews than France. > Charedi leaders argue that it is essential to block their students from secular studies and IDF service in order that they should turn into Bnei Torah. But of the Moetzes Gedolei HaTorah of Agudas Israel of America, quite a few have college degrees. And of the recent new appointees to the High Rabbinic Court in Israel, a whopping 50% have served in the IDF. Evidently, a secular education and IDF service does not prevent people from becoming great Torah scholars. What are the numbers, though? It's possible that the best and brightest are so smart that they can come up with clever solutions that reconcile Chareidi doctrine with secular knowledge, but for the average person, finding out that beliefs you hold as obvious are mistaken can be a real shock. It's not reconciling Charedi doctrine with secular knowledge but reconciling Torah with the latter, and excelling at Torah. This is a bizarre group! you have the Satmerer Rebbe (Williamsburg) with Rav Malkiel Kotler. Since when did Satmar ever care about the Jews in Israel? it is- after all- an unholy country for them. It is depressing that Lakewood allies himself with the most rabid anti-Israel people. Hardly the first time. And Satmar isn't part of the Agudah, but the Agudah runs interference for them all the time. Lakewood is also rabidly anti-Israel. They just don't talk about uncomfortable truths. RAK z''l considered the satmar rav z''ll his rebbe. And of course, so do the grandchildren. The williamsburger rebbe famously gives $100US to anybody who doesn't vote in israeli elections. Hr cares about israel. On his on terms. R Pluchok told me when i was out of money with a bunch of kids. Borrow money and Stay in learning. Great advice? Stay poor, Have a large family. A great recipe for disaster. Right. And failure to pay back debts is . . . . STEALING. Also a great story to tell door to door, in Dati-Leumi neighborhoods and Chutz Laaretz. I, too, am disappointed with Rabbi Adlerstein's evolution in more recent years to be an apologist for the Hareidi/yeshiva world. Years ago we had an e-mail exchange involving our mutual disparagement of the torah codes work. Then Rabbi Menken was an opponent. Later, the two rabbis joined forces in forming Cross-Currents. 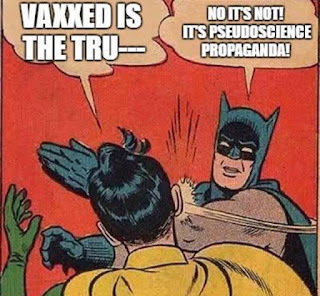 His current article is misleading, if not ignorant. He points to BMG having the highest 1st time CPA exam pass rate in NJ (not the highest exam scores). Of course, if 5 BMG kollelniks took the exam and 4 passed that would give an outstanding pass rate, but one hardly representative. Nor is there an indication of a continuing high pass rate from year to year. Furthermore, there is no indication that these successful exam takers had little secular education. They may have come to BMG from day schools with excellent secular education. Moreover, these are adults who have responsibilities and will take their studies seriously. His conclusion that secular education K-12 might be bypassed since it can be achieved as an adult is both unfounded and harmful. Thank you for finding that! I was trying to find the details, but didn't want to shell out $100 do to so. Sorry what many people I think fail to understand is that most of these Haredi sects are practicing a diffrent religion?...It can all be traced back to the introduction of the The Zohar...then follow it threw to the Sabbatean movement...If Iam off base please tell me?...I find Satmar especially is anti-Jewish..and a detestable cult.. Agreed. The Zohar is really "Gnostic Judaism", rife with foreign beliefs. HaShem should have mercy! The comment about the Zohar is irrelevant to the conversation here: The Sephardi community is much more steeped in mysticism than Satmar Chassidim, or even Chassidim in general. And yet the Sephardim introduced secular studies in their schools. As it says in the blog post: "the Shas school system adopted math, science and English as a result". "Third, the facts are that fully 50% of charedim who apply for "catch-up" programs in Israel (themselves certainly not representative of chareidim in general) drop out because they just can't catch up that late in life." I've been wanting to look into this statistic-- can you share your source with me? Thanks! It's in an old post on this blog somewhere. I got it from a news video interview with the guy who runs one of these catch-up programs at Hebrew U. This includes an in depth discussion of the data (In Hebrew). Not working brings a man to poverty and this causes many sins and great evil. Reb Natan - The biggest mistake in your piece is a verb. I hope it was a typo. Anyone who could think of using the word "revere" in connection with me should have his head - rationalist or otherwise - examined. Perhaps you meant "revile?" But thanks, anyway. I'm not sure why people think that I meant anything more than I said. To wit - there are some students in Lakewood who have (yes, for years!) demonstrated that they can jump-start a CPA career (and then do quite well in the field). There are haredim who have similarly jump-started academic preparedness for conventional university study. I made no statement as to how widespread this may be. I merely suggested that it pays to study the phenomenon. We should learn which skill sets can be acquired quickly for which kind of student. A wealth of anecdotal evidence suggests that adequate exposure to math and English is a make-or-break prerequisite, both in Israel and here. There is no way that I would not push hard for chassidishe kids here in the US to get that training. There is no way that I am not in favor of the inclusion of the Core Curriculum (or some close compromise curriculum) in Israel. We still need to find out whether other parts of the curriculum can be streamlined - not just for haredim, but to improve all education. The one area in which I take strong issue with some of the commenters here and on my blog is in asserting that in the Litvish schools, K-12 education exists. As a parent, this has not been my experience. The trend has been to poorer and poorer secular studies departments. In the best, elite schools, there is nothing offered at all. The schools pride themselves on it. In other schools, there may be something on paper. Worse yet, they may actually offer something dilute and incompetent, which is often worse, because it turns off the kids to the value of anything secular. There are some exceptions, but they are shrinking, not increasing. Emphasis is on *some*. In 2013, it was 12 people and those 12 didn't pass all the sections within that year. I don't know if they do well in the field. The one area in which I take strong issue with some of the commenters here and on my blog is in asserting that in the Litvish schools, K-12 education exists. As a parent, this has not been my experience. he trend has been to poorer and poorer secular studies departments. In the best, elite schools, there is nothing offered at all. The people sitting for the 2013 exams from BMG averaged over 31 years old. If you are right that things are trending down, then that indicates that they had better education on average than is available today. And the question isn't even what education everyone had, but what education those 12 had. If you have enough interest, you probably have the connections to find them and call and ask them. I merely suggested that it pays to study the phenomenon. With due respect to someone greater in Torah than me, you haven't provided any evidence that there is a phenomenon to study. Rabbi Adlerstein: Maybe you can explain something to me. Why do the best and most elite Haredi schools pride themselves on not offering any secular education, not even English and Math? and why do the parents buy into this? Is there not something perverse about this? The parents can ask themselves "look, the state is willing to subsidize us with their welfare state programs, and the current post-Modernist philosophy which is now dominant in the outside world tells them that they should be indulgent to exotic religions and non-judgmental." After all, Nobel Prize winner Paul Krugman says there is no need to worry about budget deficits since "all you are doing is borrowing money from yourself (?!)" so the state will be glad to keep giving out money, particularly if it is getting those in power a nice, secure bloc vote. The question is what if this state of affairs comes to an end at some point? Maybe Krugman is wrong about unlimited deficits? Maybe the rise of Trumpism shows that things are accepted as seemingly obvious (i.e. various unwritten political customs the US has lived by since the Civil War) won't last? Maybe the US will get tired of having Jews be so influential, as happened in almost all the rest of the countries of the world at some point? Factual correction: lakewood schools do not teach secular studies in high schools anymore. Hey might have an official program, but in reality, nothing. And the K'8 don't take it seriously. Not arguing, but not everyone is BMG grew up in Lakewood. There is still a modicum of secular studies here in Baltimore and some of them end up in BMG.